Home » Credit » Credit restoration services – helpful or harmful? Nearly every week, Mark Wells at Preferred Financial Services meets with clients who have entered into credit-repair contracts hoping to improve their credit scores. Some find they are unable to transact a mortgage because the credit-repair company has effected changes that will have to be reversed to adhere to industry guidelines. Here, Mark answers questions about the value of credit-repair services. 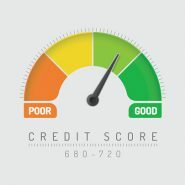 I have been under contract with a credit-repair service for six months and my scores have improved dramatically. How can that be bad? The most common “service” I see is where a company registers a dispute regarding a delinquent account. Once the account is under dispute, the credit agencies are required to temporarily remove the adverse account from the credit scoring system. So a consumer will sometimes see an immediate increase in their scores. If the dispute raises my scores, why is that not helpful? The legal reason behind removing the account from the scoring system is to give the consumer the benefit of the doubt while the account is being disputed. The creditor has 30 days to respond to the dispute, and must show evidence that the account was delinquent as reported. Once they have responded, the account is returned to the score system. If it still shows delinquent, the consumer’s scores will drop right back to where they were. But they send me a report each month showing that my scores are staying down, so isn’t their approach working? No it is not. They are simply filing a ‘re-dispute’ once the original dispute has been resolved, again artificially lowering your scores but not solving the underlying problem. I have seen companies do this over and over again for more than a year, which makes it appear that you are being helped. But if I can keep them under contract, my scores will stay low and I can qualify for a house, right? No, not at all. Fannie Mae, Freddie Mac, FHA, VA, and USDA all require that any dispute showing on a credit report must be resolved or un-disputed—then rescored—before they will even underwrite the consumer’s mortgage application. 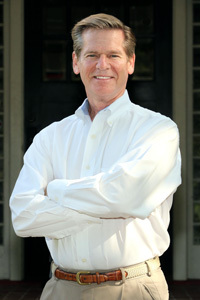 Virtually 100 percent of the time, the original dispute had no real merit (in other words, the account really was delinquent as a fault of the borrower), and the borrower’s scores drop back to where they were before the dispute was filed, making them ineligible for mortgage financing. So is there ever a reason to use a credit-repair service? The only instance in which you might gain a benefit is if the account in question truly was not ever late or did not belong to you, and was mis-reported by the creditor. But often these matters are best dealt with by direct correspondence with the creditor. In most cases, they are helpful in removing a truly erroneous account. I welcome questions and comments and can be reached at (864)235-9596 or via email at Mark@TheGreatestRates.com. I am happy to help you assess your credit status and get it in shape to buy a home. There is no charge or obligation for the assistance.